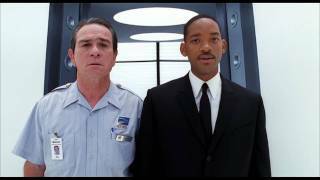 Kay (Tommy Lee Jones) and Jay (Will Smith) reunite to provide our best line of defense against a seductress who levels the toughest challenge yet to the MIBs mission statement: protecting the earth from the scum of the universe. While investigating a routine crime, Jay uncovers a plot masterminded by Serleena (Boyle), a Kylothian monster who disguises herself as a lingerie model. When Serleena takes the MIB building hostage, there is only one person Jay can turn to -- his former MIB partner.